It was Chef Éric Briffard, Meilleur Ouvrier de France (Best Craftsmen in France), Executive Chef and Culinary Arts Director at the institute Le Cordon Bleu Paris who first discovered Bordier butter during a visit to Brittany in 1997, and overtime it attracted many great chefs and lovers of fine food. In 1985, Jean-Yves Bordier acquired a creamery in Saint-Malo and began to produce his own butter. In 1997, on a visit to Brittany, Éric Briffard, chef at the Plaza Athénée at the time, had the opportunity of tasting Bordier butter and instantly recognised its fine qualities. Without produce we are nothing; quality produce may be rare but not impossible to find. That is what Eric Briffard confides. 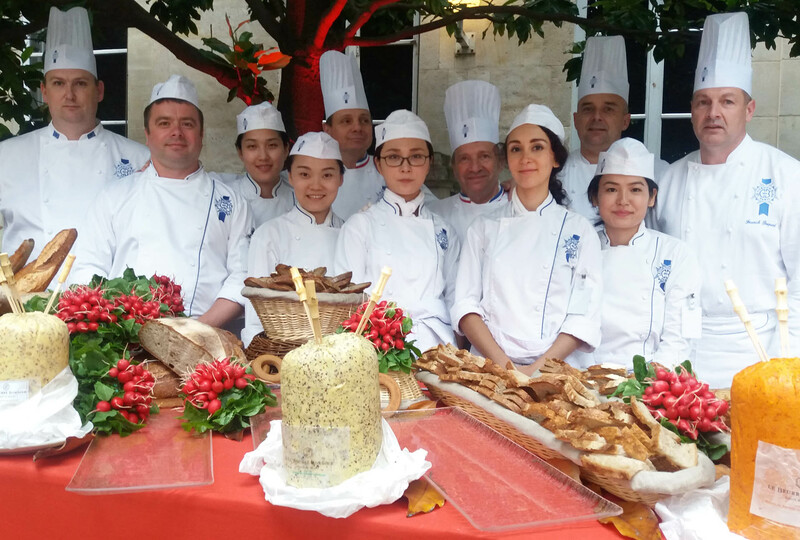 So Chef Briffard ordered his first butter from Jean-Yves Bordier, more than 800 shaped mini pats! From that moment on I began to make a name for myself, and production went far beyond what I had imagined for the Saint-Malo market. explains Jean-Yves Bordier in his new book telling his whole story, coming out next September. In 1999, La Maison Bordier joins forces with the Triballat dairy bringing in organic milk produced exclusively in Brittany. In his workshop in Noyal-sur-Vilaine, Jean-Yves Bordier ensures the preparation of his butter before it goes off to the French capital, but also to Tokyo or Ginza in Japan. 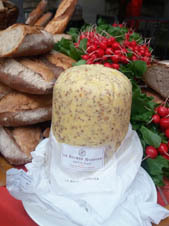 La Maison Bordier produces quality but also original products such as churned buckwheat butter, butter with seaweed, raspberries, smoked salt, Espelette pepper or even yuzu. Jean-Yves Bordier’s greatest idea were his customised mini pats of butter, specially shaped to order by 10 of his workmen for the great names in gastronomy for star-rated establishments or sophisticated gourmet restaurants. Each chef may have his own tailor-made mini pat of butter, with varying degrees of saltiness and moisture, a unique shape, or even an embossed stamp. You can also buy it on the Grande Épicerie website or buy directly from the store located in the 7th arrondissement of Paris.